Buyeo and Mungyeong are filming locations and Mooyeong is the name of Yoon Jong Suk's character in the drama. Asianwiki's title has changed from "Masquerade" to "The Crowned Clown"
Shin Soo Yun who is playing the role of Ha Seon's (Yeo Jin Goo) younger sister shared some pics on her ig account It looks like her role's name is "Dallae" according to her name plate. I've remembered to upload #TheManWhoBecameKing #tvN first script reading. Guess what role I'm playing, guess where that place is. The first still cut for The Man Who Became King has been released!!! Aigoo.... Yeo Jin Gu looking so good in sageuk attire. Can't really wait for this drama. And I'm in awe how he manages to film two dramas side by side. I hope filming for Absolute Boyfriend is done soon, so it's not too stressful for him. I agree! And I'm also looking forward to his portrayal of the clown. All his recent sageuks had him playing nobles/royals so I can't wait to see him portraying a lower class man. is the company logo on the right side "GT:st"? as in Kim Kyu Tae PD (Moon Lovers)'s company? Yes, indeed. He's the producer. well that's great, "Moon Lovers" was a yes for me although it flopped so hard in SoKor. Director Kim Heewon's junior, Director Noh Hyungseop sent a coffee truck for The Man Who Became King According to the post these are some of the stuff they drank. I hope the actors and the staff and crew get to eat really well and have great strength filming through the cold weather. Jingoo is still filming Absolute Boyfriend as well. I hope he doesn't get sick. Lee Se Young's first still cuts have been released! Lee Se Young will be the tough Queen of Joseon in tvN’s upcoming historical drama. “The Man Who Became King” will tell the story of the king who puts a clown who is identical to him in his place in order to avoid people who want to kill him. It is a remake of the film “Masquerade,” which premiered in 2012, starring Lee Byung Hun, Han Hyo Joo, and Ryu Seung Ryong. 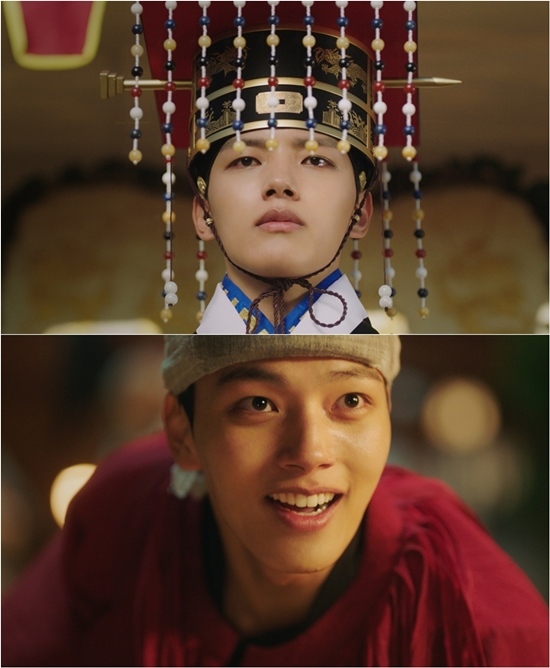 Yeo Jin Goo will will portray the role of the king, Lee Heon and the clown, Ha Seon. 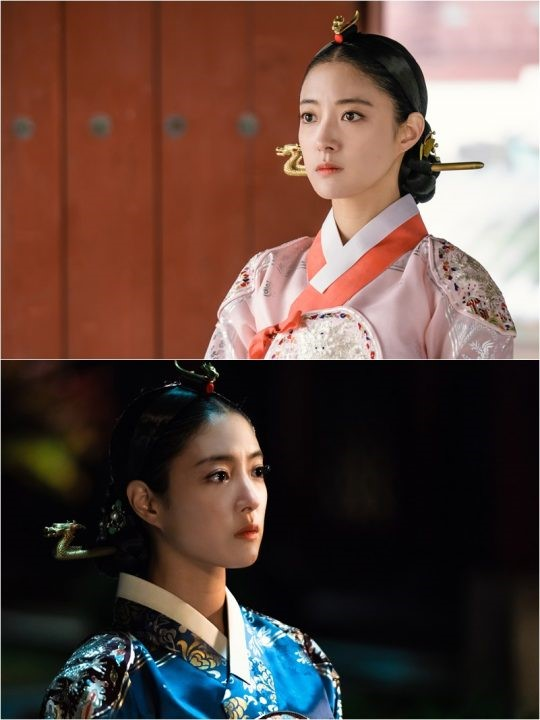 Lee Se Young will play the queen Yoo So Woon, who captures both the king’s and the clown’s hearts. She will show different images such as the lovely side of a noble woman and the dignity of a queen who is the center of political power. tvN’s upcoming Monday-Tuesday drama, “The Man Who Became King” will premiere on January 7, 2019. Jingoo has been filming ABF the entire day yesterday and now he's back to working on TMWBK. The original filming schedule for ABF was July-October, but the production extended it to November around September... so now Jingoo's filming both dramas back and forth. Child actress Seo Yeonji's agency ABM Ent shared a pic of Seo Yeonji filming for The Man Who Became King with actor Kim Sang Kyung. I uploaded it on instagram for easier viewing. I thin tvN youtube channel will upload it in a little while.